Explanation: On September 8, brilliant planet Venus appearing as the evening star stood near a slender, crescent Moon at sunset. The close celestial pairing or conjunction was a scene enjoyed by skygazers around the world. But from some locations in South America, the Moon actually passed in front of Venus in a lunar occultation. 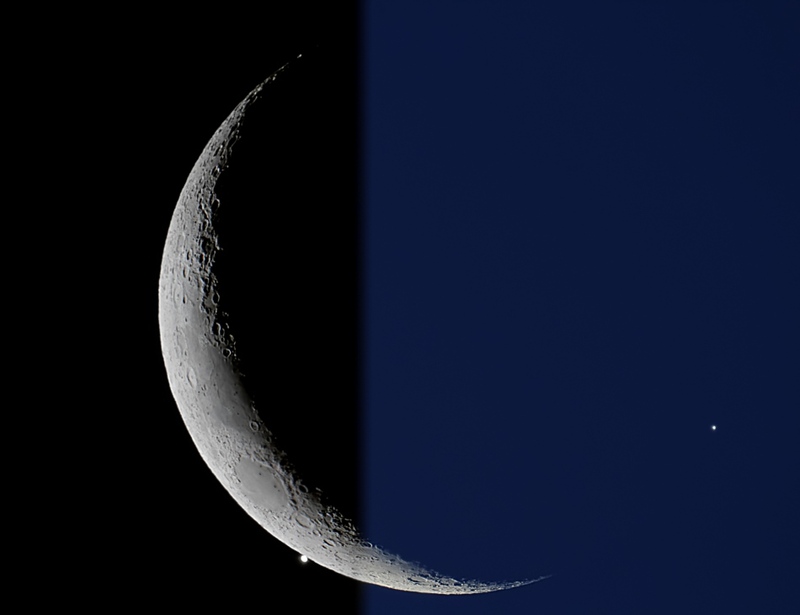 Captured near Las Cañas, Uruguay, this two frame mosaic telescopic view shows the Moon and Venus before and after the occultation. The silvery evening star appears at right just before it winked out behind the dark lunar limb, still in bright twilight skies. About an hour later Venus emerged (left) along the three day old Moon's sunlit edge.